There are now 19 desktop appli­cations included in Creative Cloud. Fifteen of them received full upgrades: Photoshop, Illustrator, InDesign, InCopy, Animate, Muse, Dream­weaver, Premiere Pro, After Effects, Audition, Prelude, Media Encoder, Bridge, Camera Raw, and the rebranded Lightroom Classic. In addition, there are four brand new 1.0 products: Adobe XD for user eXperience Design, Adobe Dimension (formerly Project Felix) for 2D to 3D compos­iting, Character Animator for 2D animation, and an all-new cloud-centric photo­graphy service by the name of… Lightroom CC. 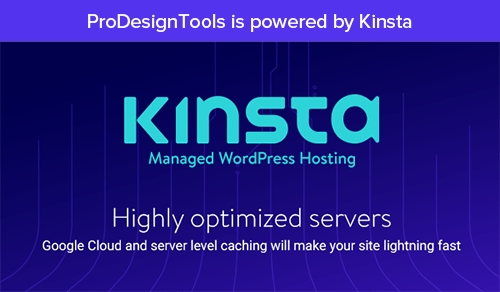 Please see the table below for what’s new in each tool. 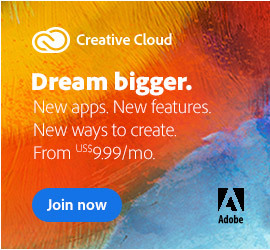 Adobe has boosted the online storage levels for all Creative Cloud memberships (100 GB is now standard, up from 20 GB), plus now offers the ability to purchase additional cloud storage – up to 10 TB per account. They have also added other new goodies for CC members, such as exclusive access for CC members to Kyle Webster’s best-selling Kylebrush.com collection, where you can download 1,500 Photoshop brushes. Creative Cloud subscriber also now receive 45 free profes­sionally-created motion graphics templates in the Master Artists Collection for your video production, as well as the acclaimed Adobe Spark with Premium Features – a new service that’s worth $9.99/month just by itself. 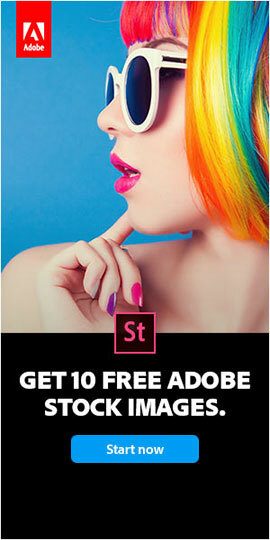 Plus you can still get 10 free high-quality images or illustrations via the fast-growing Adobe Stock, now with over 130 million assets available. Also new on the scene is a Lightroom-only plan option, which comes in at the same $9.99/mo. price point as the very popular CC Photography Plan, but swaps out Photoshop CC and Lightroom Classic and gives you 1 TB of online storage instead to store your photos using the all-new cloud-based Lightroom CC app. Mean­while, the Photography plan continues as before, but with the addition of Lightroom CC alongside Lightroom Classic. Other top tools and services like Behance to showcase your work, your own Adobe Portfolio website, Typekit fonts (now with the capability to match and capture typefaces), thousands of royalty-free icons, graphics, patterns, and backgrounds for no cost in the Creative Cloud Market, and industry-standard Acrobat DC Pro continue to be included in Creative Cloud 2018 as well. A variety of free mobile apps have also been updated for both iOS and Android, which work together with the cloud and the desktop programs. The company also continues to embed machine learning and artificial intelligence capabilities across the entire suite of tools and services with Adobe Sensei, enabling you to work smarter and faster through technology. For example, Lightroom’s “Auto” functions now use an advanced neural network to give better results by analyzing your photo and comparing to tens of thousands of professionally-edited photos to create a beautiful, pleasing image. If you want to try any of the CC apps out, then just sign up for a free level of Creative Cloud membership to gain access. For learning how to best use the products, there are plenty of free tutorial videos, and even dozens of completely free books that you can download for all of the most popular applica­tions. And don’t forget that all CC products include ongoing upgrades at no extra cost, so you can always be running the latest and greatest version available. Finally, it’s important to know that the system requirements for Mac have changed meaning­fully… The CC 2018 release requires macOS X 10.11 (El Capitan) or higher. If you’re not running that yet, then you can get a free upgrade from Apple to the latest version: macOS High Sierra (v. 10.13). For Windows, there are no big changes to the specs or requirements from CC 2017 – Windows 7 and higher continue to work for CC 2018. The only caveat so far against upgrading is for DVA users who rely on Dolby Digital audio encoding or decoding by the CC tools. For further information, see this help page. If you’re on an older operating system or still need that functionality, then you can still keep the CC 2017 versions installed on your computer by deselecting “Remove old versions” under Advanced Options. For more details on the essentials and differences, don’t miss our CC 2018 Review Guide. The most significant difference between Adobe CC 2018 (and 2017) as compared to previous CC and CS versions is that Adobe shall no longer be offering direct downloads for each and every individual application within the CC ever-increasing array of products. Products such as InDesign, InCopy, Dreamweaver still haven’t been offered as a direct download for the CC 2017 versions, yet all the hot air emanating from Adobe suggesting it’s either work in progress or the links are due imminently. As such, this falsely gives Adobe’s subscribers hope when in reality, I am of the opinion after a two year long wait, that Adobe are gradually attempting to wean us all off direct downloads all together. Regardless of the noises that various Adobe representatives and managers have hinted at this year’s Adobe MAX conference concerning their commitment to releasing direct downloads for the CC 2018 suite of products, I very much doubt to see direct downloads for InDesign, InCopy, and Dreamweaver CC 2018. 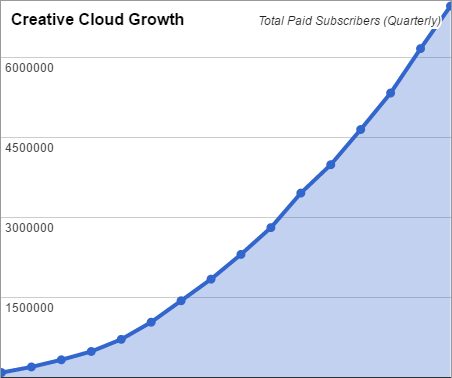 The continued increasing growth of CC subscribers is the prime reason for Adobe to be dragging their heels over the availability of direct downloads. 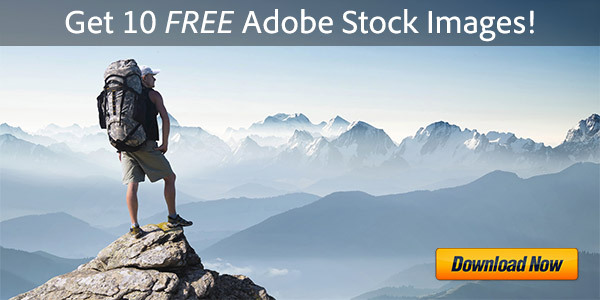 If there were to be a sustained fall in subscribers, Adobe would soon rectify their falling revenue by once again offering direct downloads solely to appease their shareholders. I understand the mindset of Adobe, and the picture is not at all rosy for direct downloads, irrespective of the what has been said by the smooth-talking Adobe representatives. Hey John, thanks for sharing your thoughts. We can only say that the managers we talk to within Adobe are well-connected and assure us that direct downloads are not ending – and that the intent is to soon provide a complete set of working offline CC 2018 installers. The reason is because there is great customer need for these, and the growth of Creative Cloud can be even higher if and when they these are made available. Hi, Thanks for these in-depth links to the new features! I have seen some videos, but they were not as precise as these links! Sure Tianaina, it was a lot of work to put those all together, so glad to hear you liked them – and thank you for your kind words and feedback! Will there be any backwards compatibility issues between 2018 and 2017 InDesign? We had issues with our vendors with the last upgrade and are holding back until all parties are ready to upgrade together. Don’t want a repeat of saving the extra IDML files again. Hi Eric, each major new release of InDesign has always made a new format that older releases cannot open. The document file format evolves and improves with each successive version – and so again there are changes in the format between InDesign CC 2017 and CC 2018. InDesign could not open “filename.indd” because it has been created in a newer version – Adobe InDesign CC 13.0. Click “Convert” to convert and open this document. Content created using features specific to the later version of InDesign may be modified or omitted when you open the document in a previous version. Are Adobe Creative Cloud (CC) Files Backwards Compatible? I was involved in the beta-testing that created Syntrillium’s Cool Edit Pro. I specifically figured out how to remove the sounds of a washing machine in a drum track. My concern on Adobe CC is my rights, specifically copyrights of new music, and of theft via corporate espionage. I am unsure if Adobe can realistically promise creative privacy while relying on cloud-based architecture. Over-simplifying in this way, that means anyone inside Adobe or who can hack Adobe Audition servers can steal what I am creating. Would anyone have a workaround on this concern? 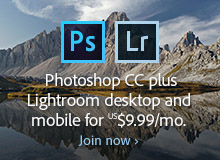 Adobe complains about being paid via subscriptions to keep programmers employed. What about musicians too? It’s a fair question. 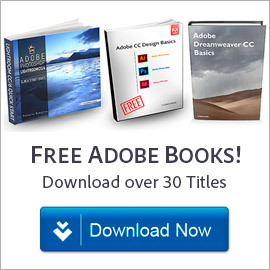 But in any case, no matter where you choose to store your files, Adobe does not own or access or use them for any purposes – and your data is protected in accordance with privacy & security best practices, and their storage infrastructure undergoes industry-recognized certifications and audits. Actually, I want to know that if i know all the features and functions of adobe premiere pro cc 2015, would it be difficult for me to learn adobe premiere pro cc 2017? No, it’s a progression – an evolution – in the same product line… So most of the software works similarly as prior versions, but with additional features and performance improvements. You should be able to do everything you did before, but more. What's the Difference Between Adobe CC 2018 vs. Older Versions?